Published 2017-03-16 at 1360 × 768 in SC-15 Using Icer Tip to apply buttercream to cake. Start at the bottom, rotate the cake and work your way to the top. 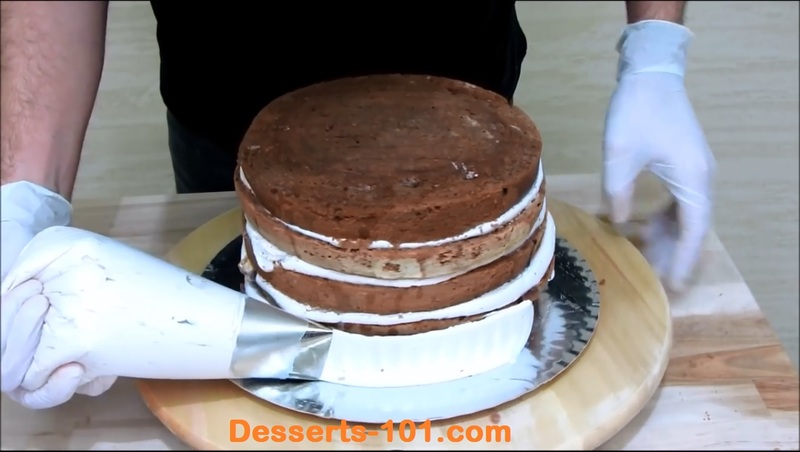 Using a cake icer tube, Note the saw tooth edge goes against the cake.